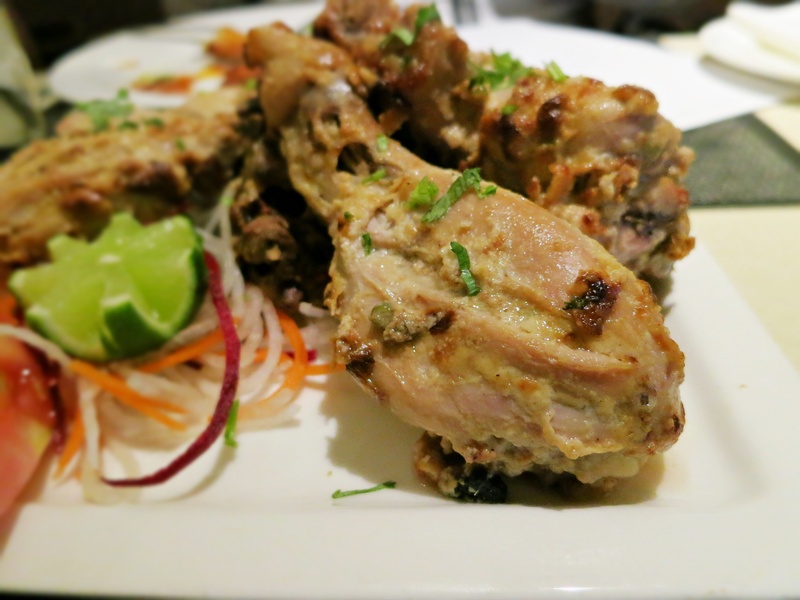 Had an Indian food feast with mum and dad yesterday at Prata Planet. Still can’t believe I had been missing such great food for so many years, with this food outlet in close vicinity! 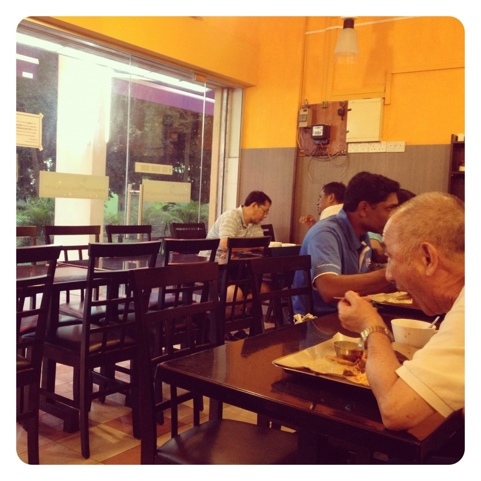 The joint is a typical prata supper place. 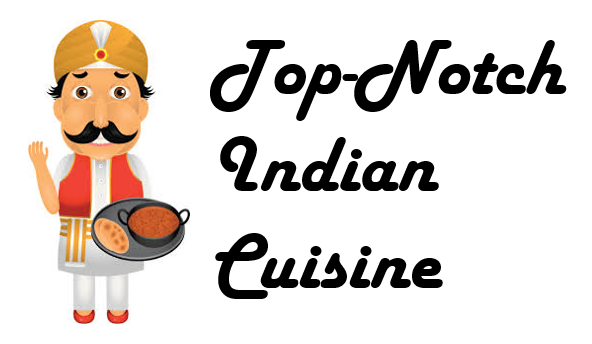 It opens from 6.30am to 11pm, great for three main meals and supper too. 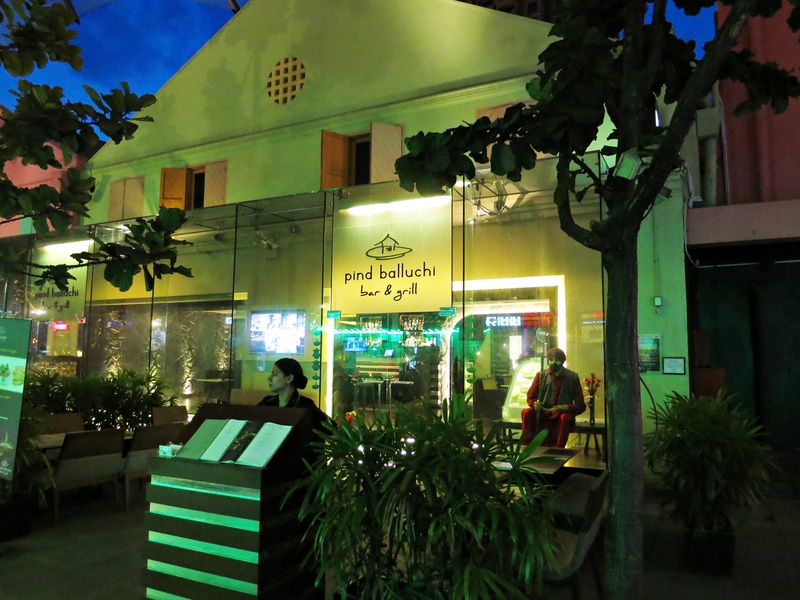 It is air-conditioned and has indoor and outdoor seating. 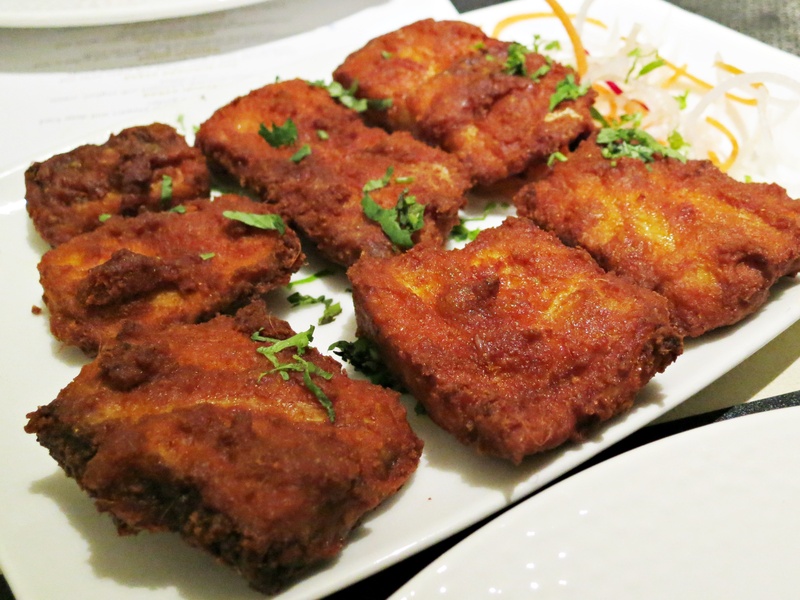 One item I ordered was the mutton mysore, recommended by another food blogger for the tender and flavourful meat. It was like promised, a stew and curry combination that needed to be accompanied with white rice. 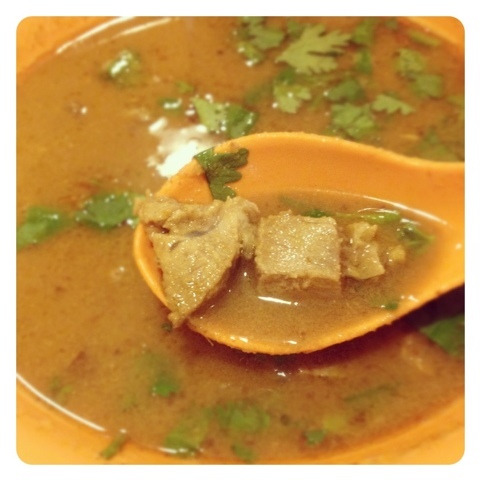 The next item is something you should never miss at an Indian food stall–kambing soup (mutton soup). 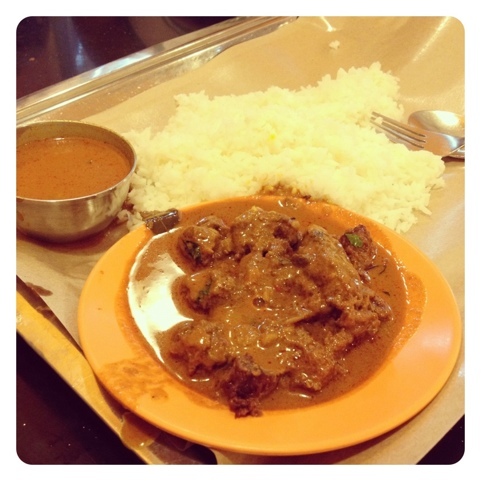 Diced mutton in thick gravy. Yummy! 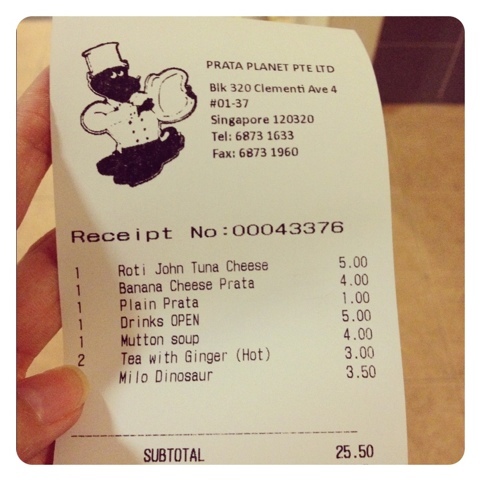 To go with all the rich dishes is my milo dinosaur! 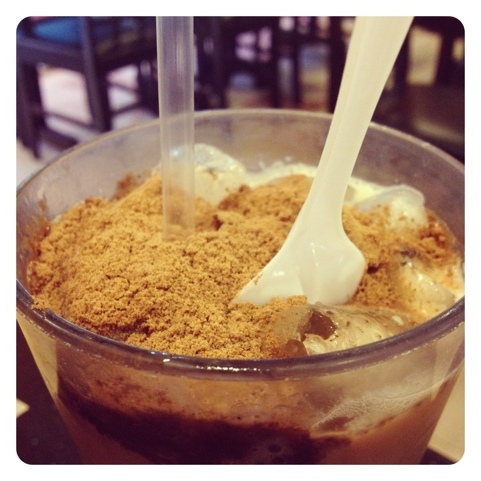 Also known as iced milo with a generous scoop of milo powder on top. The adults preferred teh halia (ginger tea). 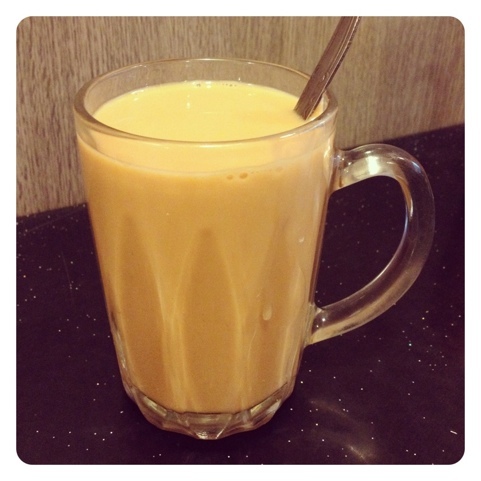 A great drink to wash down those spicy and oily dishes. On to more food! 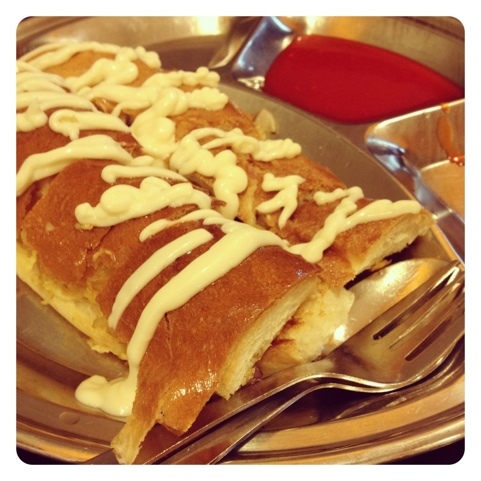 Tuna cheese roti john, definitely different from the usual chicken and beef variety. Look at all the mayonaise on top! Sinful! 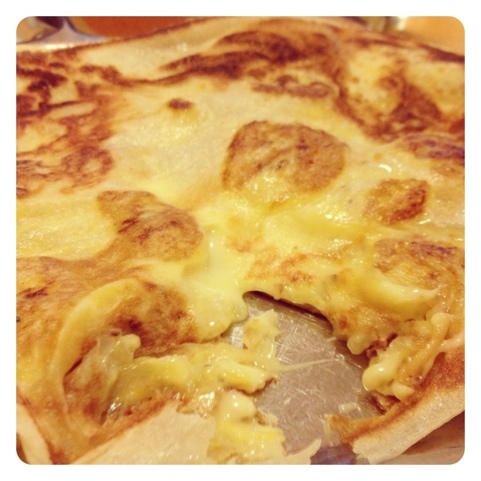 Last but not least, banana cheese prata for dessert. Would have preferred the banana to be riper as there was still a rather raw taste. But look at the gooey melted cheese! And guess how much this heavy meal cost us?